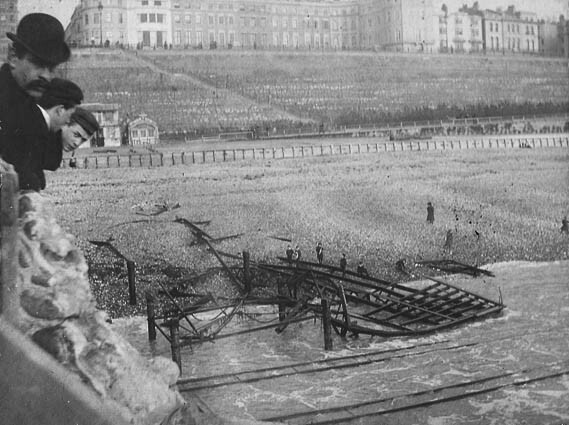 “This view shows the destruction of the landing stage and waiting room of the ‘Brighton & Rottingdean Seashore Electric Railway’. This railway was also known as the Daddy Longlegs and had been designed by Magnus Volk. The crowd are lining the Banjo Groyne. The double track on which the car ran can be clearly seen.